The quickest and easiest divorce is a divorce where both parties agree to everything before ever setting foot inside a courtroom, i.e. a divorce by mutual consent. When there is nothing to fight about, the court only needs to sign off on the agreement the parties already made regarding property division, spousal and child support, and child visitation. In a divorce by mutual consent, the parties complete a single consent petition. Generally, the consent petition tells the court both parties want the divorce and there are no contested issues as to property division, support or responsibilities to any minor children. The consent petition must be signed by both parties and notarized before being filed with the appropriate court where the parties live. Some jurisdictions require a consent property settlement and parenting plan to accompany the consent petition. A property settlement details division of all the real and personal property owned by the parties and any spousal support the parties have decided upon. A parenting plan describes support and visitation for any minor children of the marriage. Both documents must be signed by both parties and notarized before they are filed with the petition. The judge assigned to the divorce case must sign off on the consent petition to finalize the divorce. File a motion for a hearing to bring the petition before the judge. The motion is a formality as the court will grant a specified hearing date. Some jurisdictions require both parties to appear before the judge so that he may question the pair and verify, on the record, that the divorce is indeed by mutual consent. Other jurisdictions require only one party to appear and present the paperwork. Either way, once the judge is satisfied the paperwork is in order, he or she signs off on the divorce and the divorce is granted. 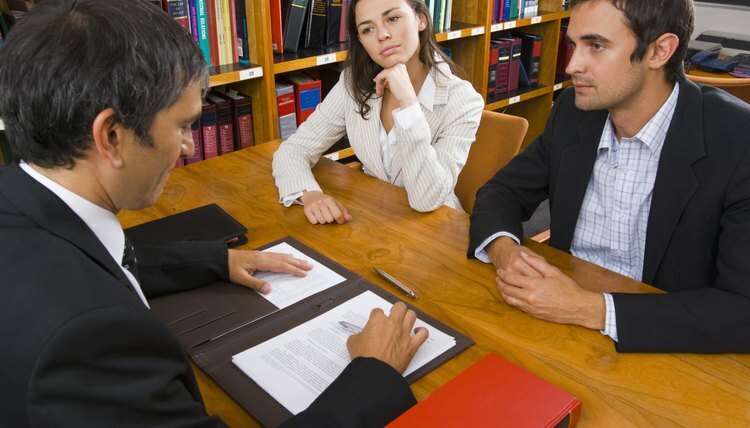 What Is a Consent Decree in Arizona Divorce Terms? A consent decree is a final order in an Arizona divorce case in which you and your spouse reach agreement on all issues. The consent decree document itself is a standard form that you and your spouse fill out after reaching a settlement. Sixty days must pass from the date the divorce petition was served before you can submit a consent decree to the court.